Games don't just happen. They aren't born fully-formed in the brains of a developer, coded in an afternoon, and released to an adoring public. A huge amount of creative energy goes to ensuring these games are the riveting experiences we'll play for hours. Now consider that 40 years ago there was barely a games industry to speak of - which meant developers and publishers had to push that much harder to bring their dreams into reality. That's an experience Victor Kislyi understands very well. 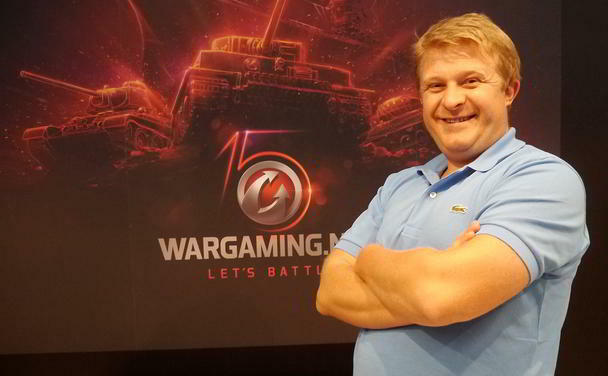 He founded Wargaming with his brother and three college friends in 1998, all sharing a strong enthusiasm for strategy games. 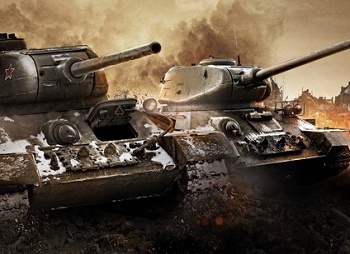 In 2014, Wargaming's World of Tanks set a Guinness World Record when 1.1 million players simultaneously connected to a single server. The award-winning company has grown to well over 3,500 employees stationed in 16 offices worldwide - all of which Kislyi continues to preside over as CEO. 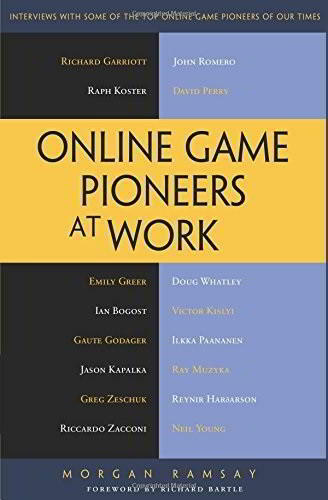 Kislyi's story is fully detailed in Online Game Pioneers at Work, where author Morgan Ramsay interviewed 16 leaders of the online gaming industry. These individuals - which included John Romero, Richard Garriott, Raph Koster, Greg Zeschuk as well as Kislyi - didn't just watch the online games industry grow, they were driving forces that made it into the juggernaut we think of today. The full book is available on Amazon, but The Escapist had an opportunity to read Kislyi's interview - revealing how Wargaming became perhaps the most successful name in free-to-play online gaming. That's remarkably impressive for someone who didn't used to consider his operation a "business". "We did not use the word business," Kislyi explained. "The beauty of the game development industry is that, and we believed it then and still believe it now, it's about the games. We believed that if you create a game that's enjoyable, smart, and beautiful, the business would evolve and wrap around that game easily, smoothly, seamlessly, and naturally. After that, you would just put sales and accounting people around it. We were not thinking business." Kislyi grew up in Belarus, and came of age while the Soviet Union dissolved around him. At the time, many families were pressuring their children to get their MBAs and study economics, but Kislyi's father wouldn't allow it, hoping he would follow in the family's footsteps as a scientist. But even without MBA training, Kislyi learned about business from an unlikely source: Sid Meier's Civilization. "My true MBA was Civilization," he explained. "Civilization is a game that needs to be given to everyone on this planet who wants to do something in life. You build your empire, but in essence, it's your business. You sit there for two weeks, playing a couple of hours per day, and you have to deal with an economy, politics, army, exploration, religion, and production. Civilization is probably the best MBA experience ever. I did not have any business experience before. I had just a couple of books and Civilization. I played the first one, and now, I'm playing Civilization V."
Despite the lack of business training, Kislyi entered the game industry powered by sheer enthusiasm. "In the beginning, we had five or six guys, including my brother," he continued. "I hired - I say 'hired' but they were paid like $25 per month - a bunch of other friends from the university. We were driven by enthusiasm until 2000. There was no money. We just had a little money from my father who viewed this as a little toy for his sons and their friends. It was more about enthusiasm." That enthusiasm certainly gave Wargaming a strong foundation. Its first game, DBA Online attracted attention from the war games community while Massive Assault made a huge splash in mass markets. But by 2008, the now 100+ team decided to make the MMO that would become its opus - World of Tanks. But World of Tanks was also a huge change for Wargaming - one that prompted Kislyi to step away from direct game development. "As a founding father, I was designing all of our old games," Kislyi said, "but I can say that one of my smartest decisions was to not design World of Tanks. I said to myself, 'Victor, you can design a good turn-based single-player game, but you've never designed a free-to-play action MMO before.' That was new to me ... I stepped over my pride and let three Russian designers do it. They relocated to Minsk. They were big military enthusiasts, particularly tanks, and specialists in free-to-play games, mostly browser-based games in Russia. "For training, for approximately the eight months after we started working with the online technology, we had made a traditional fantasy game where elves and orcs would shoot arrows and kill each other with swords. When we showed that game to them, they said, 'Okay, we won't pull off fantasy because there are hundreds of fantasy games coming out every year. Hey, let's do the same thing but with tanks.' I asked, 'Are you sure?' They said 'yes' and convinced me they could design a game around tank battles. "The concept is simple, but if you play World of Tanks, there are so many elements in the game that had to be designed well and balanced. That was beyond my capability. I would rather concentrate on the business, bringing in more people, securing resources, and thinking about future opportunities. So, I stepped aside and let other people design the game." 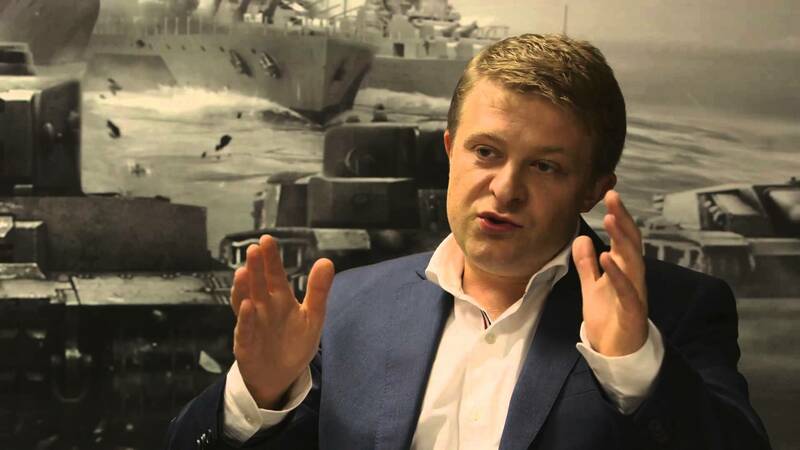 Yet despite the change in focus, Kislyi continues to have a direct role in the Wargaming's products. "I play World of Tanks fanatically," he added. "I have now played more than 11,000 battles. From time to time, bright ideas come to mind, and I let the designers know, but I'm in the same position as any other employee. We can chip in ideas, but there's a professional game design process. Some ideas go into the game, some are modified, and some of them just don't." Today, Wargaming is a massive international operation, developing the new World of Warships while offering continued support for the World of Tanks and World of Warplanes MMOs. But when you play those games, remember that this huge company began as a small, independent passion project for a group of enthusiastic gamers. It's strangely humbling to know that our favorite pastime came from such humble beginnings - which is why we should be glad that Kislyi was one of its pioneers. Disclaimer: Alexander Macris, the co-founder and general manager of The Escapist, is a member of the board of advisors of Entertainment Media Council, which published Online Game Pioneers at Work and of which Mr. Ramsay is founder and president.